Disclaimer:* Plus tax, title, license, and doc. $2,500 due at signing, plus first month’s payment and $0 security deposit. Lease is for 7,500 miles per year. STK# JM3393. Residency restrictions apply. To qualified buyers with approved credit. Ends 4/30/19. 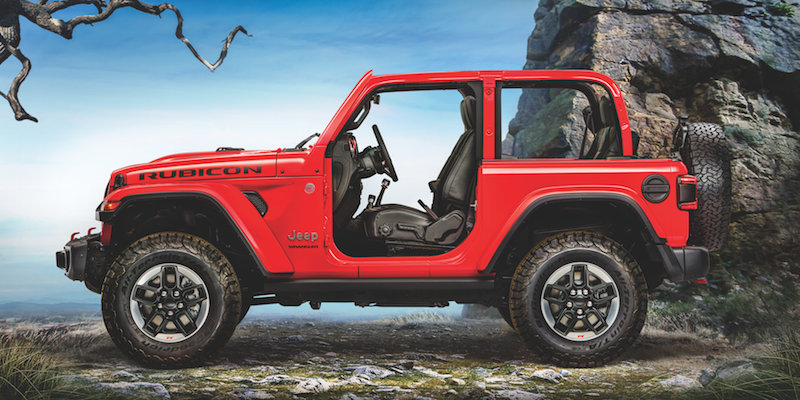 Are you interested in the newest 2-door or 4-door Jeep Wrangler? Sign up for a Jeep Wrangler lease deal and save at Royal Gate Dodge Chrysler Jeep Ram of Ellisville! 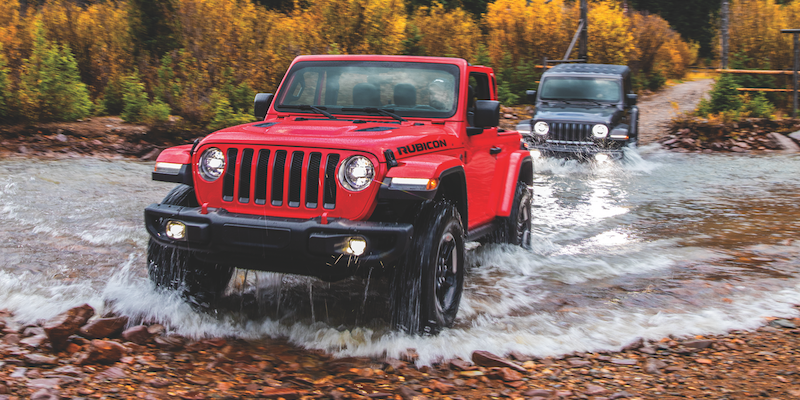 When you take advantage of our current Wrangler lease specials, you’ll get behind the wheel of the Trail Rated® Jeep Wrangler and save money on your monthly lease payment. 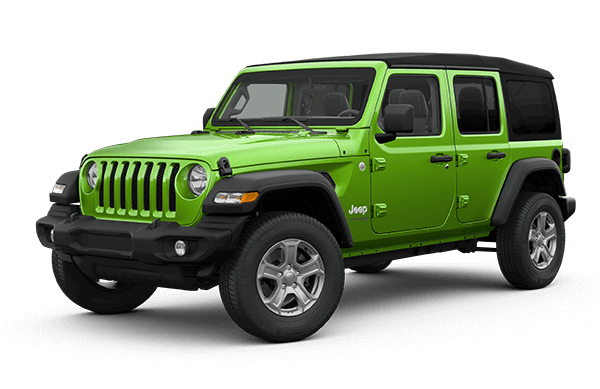 Check out current Jeep Wrangler lease deals on this page. Please let our team know if you have any questions by reaching out online or calling a href=”tel:6363943400″>(636) 394-3400. You can also schedule a test drive to experience the Wrangler or Wrangler Unlimited for yourself. The Jeep Wrangler is available as a 2-door model or 4-door model, also known as the Jeep Wrangler Unlimited. Off-roading can make quite a mess in your Wrangler. With the wash out interior, you can easily clean up the mud you tracked in. Blast your favorite tunes with the Alpine® Premium Audio System with eight speakers and rear subwoofer. 33-in. tires are available to improve performance on advanced trails. The available 3.6L Pentastar® V6 engine delivers impressive performance capabilities while receiving exceptional fuel economy. The Jeep Wrangler is equipped with an advanced front and side airbag system and high-strength steel beams. Blind Spot Monitoring and Rear Cross Path Detection help identify other vehicles to ensure your drive is safe. The ultra-high strength steel sport bar adds extra protection for off-roading. The ParkView® Rear Back Up Camera and ParkSense® Rear Park Assist System help you reverse safely. Each Jeep Wrangler includes a full-size spare tire in case of emergency.